Read all about these sponsors HERE. Here is some inspiration from the Party Planners featuring images from LEJ, DC9, The Paper Shelter and AWESOME products and paper from The Paper Parade! Thank you for providing us with these goodies!!! Please follow our Rules HERE. If you want to be considered for a prize or Top 3, please post our badge in your sidebar of your personal blog. Thank you! Beautiful and very inspirational creations by DT. Some fun inspiration from the DT. I have now added your party badge to my blog. 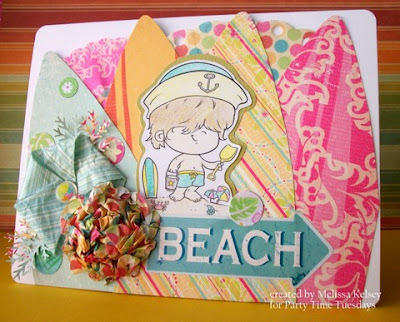 Happy to enter a summer page and I already have your fun BLINKY button on my blog!! 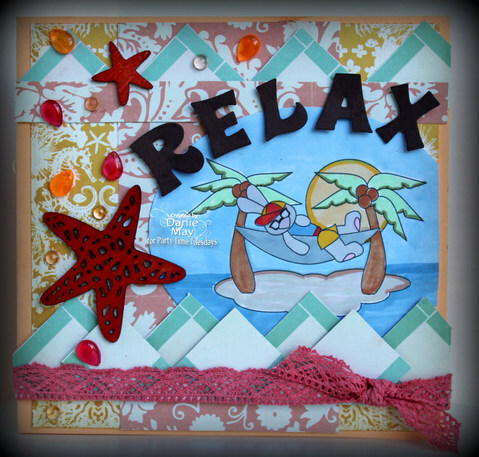 Hard to believe summer is drawing to an end...fun inspiration from the DT! I love the DT creations and this challenge was so fun that I had to give it a try. 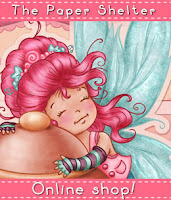 I am so glad I found your site and look forward to being a regular vistor.